The annual international pageant for plus-size women will celebrate 20 years of promoting beauty, talent and intelligence in 2019. The event appeals to anyone interested in the fashion, beauty, health, fitness, education and self-improvement industries. Our intention is to help broaden your customer base and increase your profits. We offer low cost vending space and many advertising opportunities for you to reach this lucrative market. We offer a percentage to persons who are willing to sell tickets with no up front investment. 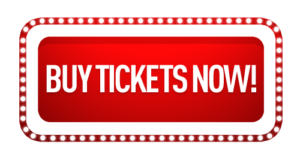 Or purchase tickets as give-a-ways (enter-to-win promotion) at your business location, or a gift for friends and family. We’ll deliver or mail tickets and flyers to you! Contact us for the percentage you’ll earn — based on the number of tickets you sell! Sponsors are welcome to support any or all of our events. Because each sponsorship is unique and confidential, please contact us for information or arrange a business meeting. We’ve constructed our sponsorship packages to include a host of advertisement opportunities for your company to attract consumer interest. See more details here and let us know about your interest. BOOK YOUR EXHIBIT SPACE AND SAVE $50.00 OFF BEFORE JUNE 28, 2019!